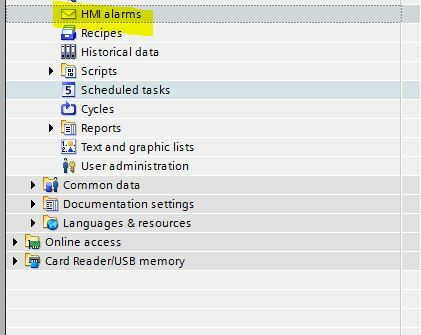 Task:You want to create an alarm table in HMI by using TIA. Step1:in the HMI Tags, Create the alarm Tags and make the connection to station.In this example i will use Array Data type of Word to save the alarm.It is a good way to decrease the Tags amount in your project, Because there is a Tag limit of your HMI and you can not change it. 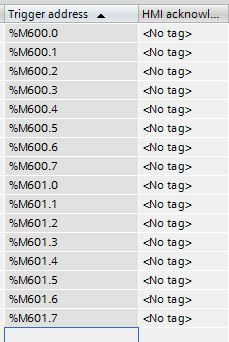 Step2:Be careful of the addressing by using Word to assign your alarm.In Siemens, if you use MW600 to assign your alarm, the low side 0-7 is MW601 and the high side 8-15 is MW600. -Enter the alarm name in the “Alarm text” . -Enter the address of alarm in the “Trigger address”. 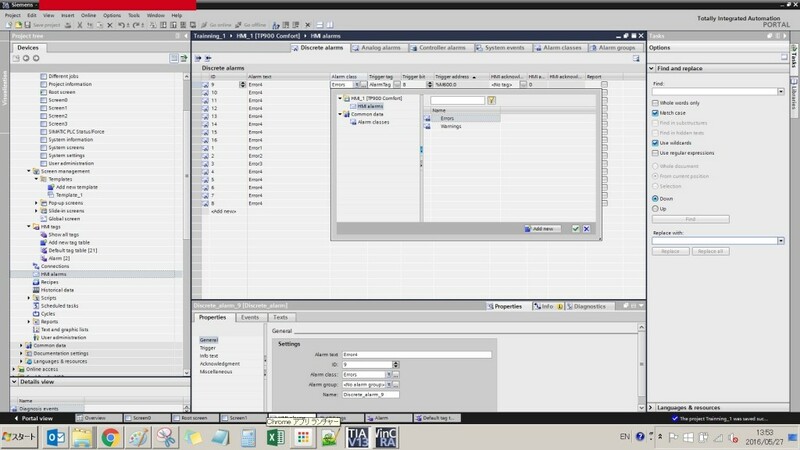 Step5:In the Alarm classes tab you can define your own alarm class, colour..ETC. 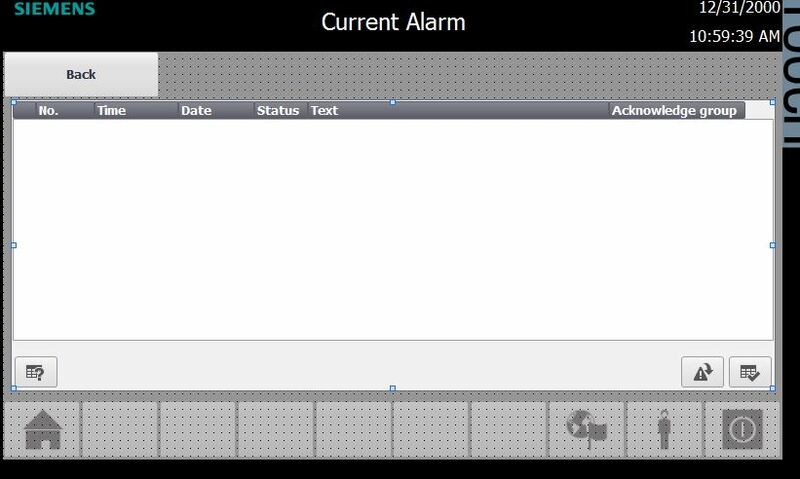 Step6:It is the time to create the alarm view. Step7:on the left hand side, in the Controls-> Drop the alarm view to the screen. 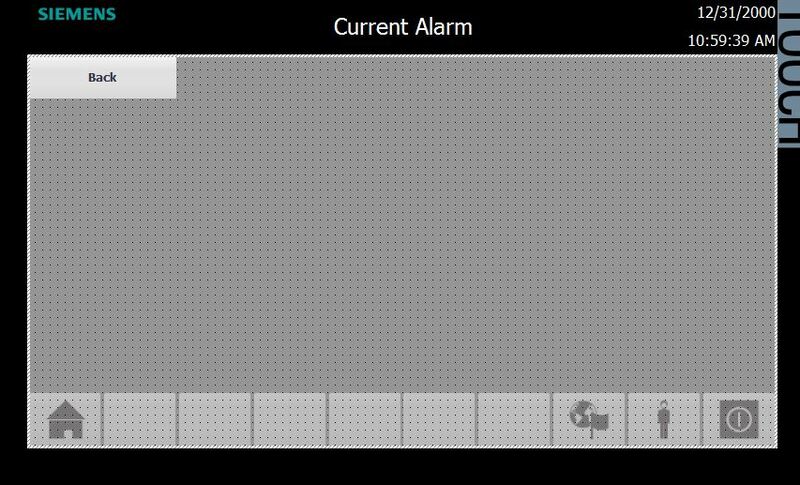 Step8:Here is the Alarm Table. 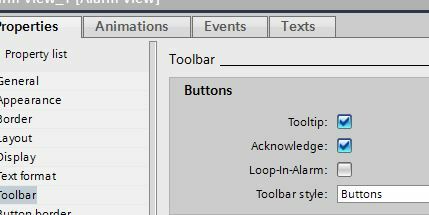 Step9:Click the Alarm view.In the Properties there is so many setting to custom your own Alarm view and I would not discuss all of these stuff in here ;)Only one thing i would like to point out is in the General Tab, there is a Display setting of which type of alarm will be displayed in the Alarm View. 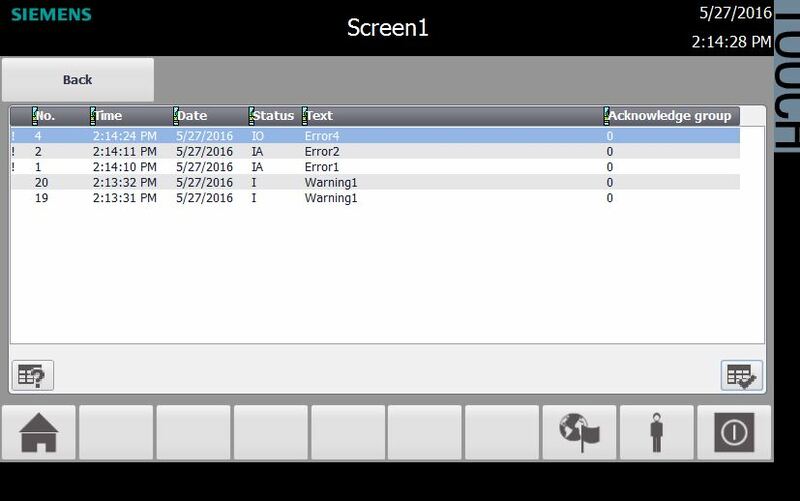 Here is a little suggestion: create a few screen to display the group of alarm. Alarm buffer is the Alarm History. 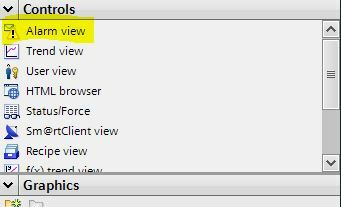 Step10:And Also in the Toolbar setting, you can hide/display the Function Button.